On the twenty-seventh of this month [June], is read the Narration of Bishop Synesios of Cyrene Concerning Evagrios the Philosopher and the Three Golden Litra. By this seizing a multiplication. That in the time of Theophilos, the blessed Pope of Alexandria, Synesios the philosopher became Bishop of Cyrene. When he came to Cyrene, he found there a philosopher named Evagrios who had been his fellow student and had remained his good friend, even though he was strongly attached to the cult of idols. Bishop Synesios wanted to convert him. He not only wanted to, but also made great efforts and put himself to much trouble and care for the sake of friendship, in which he held him from the beginning. The other would neither be persuaded, nor would he in any way accept the bishop's teaching. Yet, for the sake of his great friendship for him, the bishop was unflagging in his efforts, continuing day by day to instruct, entreat and exhort his friend to believe in Christ and to come to full knowledge of him. And it had this effect, that one day the philosopher said to him: "You know, Bishop, of all the things which you Christians say, there is this, sir, which displeases me. It is that there will be an end to this world and that, before the end, everybody who existed throughout this age shall arise in this human body and shall live forever in that incorruptible and immortal flesh; that they shall receive their rewards; a body who has compassion on the poor lends to God; that anyone who distributes money to the poor and destitute lays up treasures in heaven and shall receive them back from Christ an hundredfold at the regeneration, together with eternal life. All this seems to me to be deception and a laughing matter; a yarn which is no more than an old wives' tale." Bishop Synesios assured him that all the beliefs of the Christians were true and that there was nothing false or alien to the truth about them. He attempted to demonstrate with many examples that this was so. A long time afterwards, the bishop succeeded in making him a Christian. He baptized the philosopher, his children and everybody in his household. A little while after his baptism, he gave the bishop three gold litra for the benefit of the poor. "Take these three gold litra; give them to the poor and let me have a certificate that Christ shall give them back to me in the world to come." The bishop took the gold and promptly made out the desired certificate. 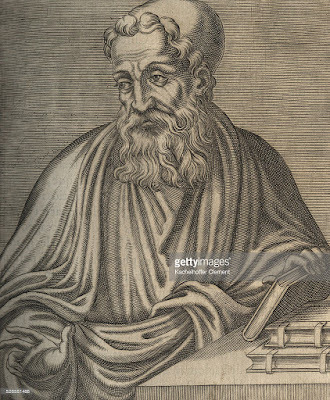 The philosopher lived for some years after his baptism, and then he fell terminally ill. At the point of death, he said to his children: "When you prepare me for burial, put this paper in my hands and bury me with it." When be died, they did as he had commanded and buried him together with the hand-written paper. The third day after his burial, while Bishop Synesios was lying down at night, the philosopher appeared to him and said: "Come to the tomb where I lie and take your hand-written paper, for I have received what was owing to me. I am satisfied and I have no further claim on you. To make you quite sure, I have counter-signed the paper in my own hand." The bishop was not aware that his hand-written certificate had been buried with the philosopher. The next morning he sent for the dead man's sons and said to them: "What did you deposit in the tomb together with the philosopher." They thought he was speaking to them about money and they replied: "Nothing, my lord, except the grave clothes." "What tben?" he asked; "Did you not bury a paper with him!" Then they remembered, for they did not realize he was talking about a paper. They said: "Yes, my lord; when he was dying, be gave us a paper and said: 'When you prepare me for burial, lay me out that I am holding this paper in my hand, and nobody else is to know about it." Then the bishop told them of the dream he had seen that night. He took the sons, the clergy and some prominent citizens and went off to the philosopher's tomb. They opened it, and they found the philosopher lying there, holding the bishop's hand-written certificate in his own hands. They took it from his hands, opened it and found this, newly written on it, in the philosopher's hand: "From me, Evagrios the Philosopher, to you sir, the most holy Bishop Synesios, greetings. I have received what you wrote down in this promissory note. I am satisfied and I have no further claim on you in respect to the gold which I gave you; or rather, by your agency, to Christ our God and Savior." Great was the amazement of those who saw it. For many hours they cried out: "Lord have mercy," glorifying God who works wonders and grants such assurance to his servants. 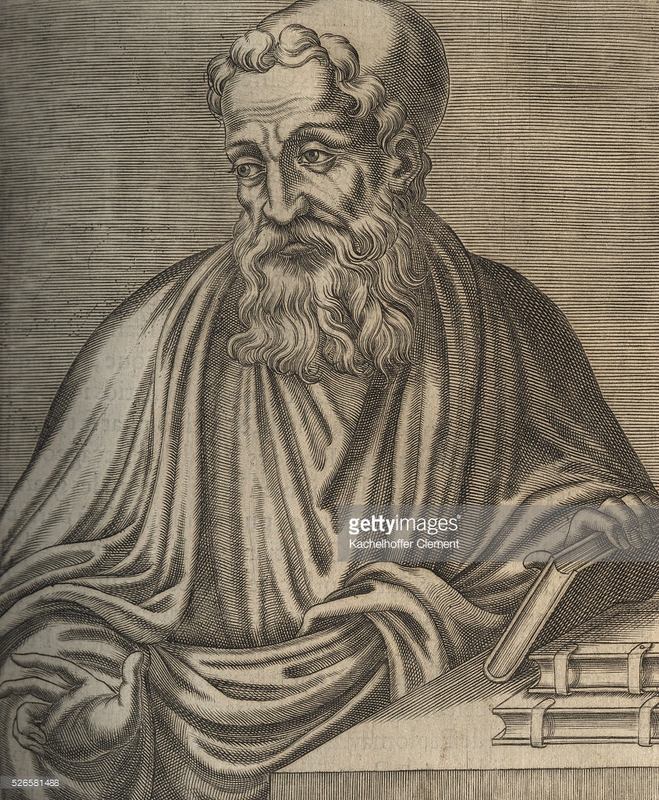 Master Leontios assured us that the manuscript with the philosopher's signature has survived to this day and that it is lying in the treasury of the church of Cyrene. It is delivered into the safe-keeping of each man who is appointed custodian there, together with the sacred vessels. He guards it diligently and will pass it on, safe and sound, to his successors.